Bakewell is not just a "one pudding town". 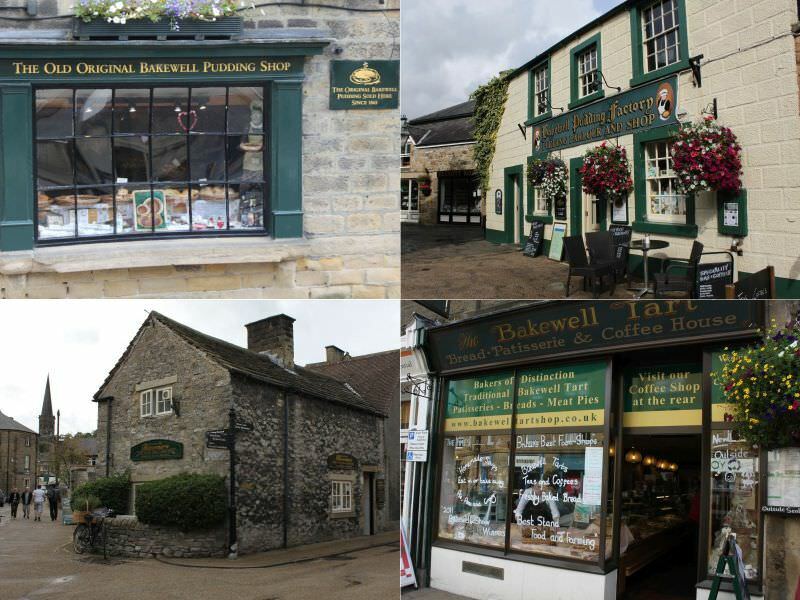 Here you'll find four shops which sell the famous pudding, clockwise from top left "The Original Bakewell Pudding Shop", "Bakewell Pudding Factory", "Bloomers" and "The Bakewell Tart Shop". The pudding itself can be seen in the top left picture in the shop window. The Bakewell Tart is a variation with sugar icing on top. These are quite popular as tartlets, with a cherry on top.